Many people go about their workout routines without knowing whether to do their weight lifting repetitions quickly or slowly. Knowing at which rate you should perform your lifts is one of the most important aspects of building muscle. Is a fast rate better than a slow rate? The answer is that neither rate is better than the other. They just give you different results. The real question is: which rate is best for what kind of muscle you want to build? To answer this question we need to know what a slow and fast repetition rate does for your muscles. A slower repetition rate for which you do your weight lifting results in higher muscle tension than a fast rate approach. 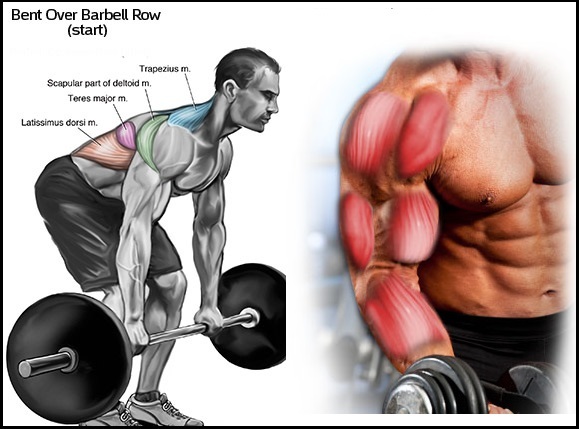 Higher muscle tension results in bigger muscular size. So if you are looking to get really big and bulked up then a slower rate is right for you. – Always bring the weight down more slowly than you raise it. – One whole repetition should take about ten seconds. – Always remember to exhale on the lift and inhale on the release. A faster repetition rate for which you do your weight lifting results in lower muscle tension than a slow approach. This technique, however, will allow you to lift heavier weights. Lifting heavier weights at a higher repetition rate is going to result in your muscles having more sheer power and strength rather than just getting really big. – Do not perform the rep at too fast of a rate which will result in improper form. – Again, always remember to exhale on the lift and inhale on the release. If you are looking for results from a little bit of both categories than perform your weight lifting repetitions at a medium rate. No matter which weight lifting repetition rate you decide to use always remember to stay consistent with it to attain the results you want.